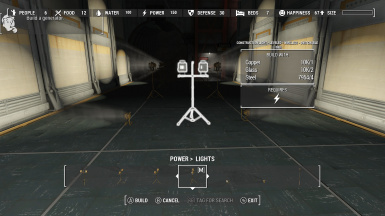 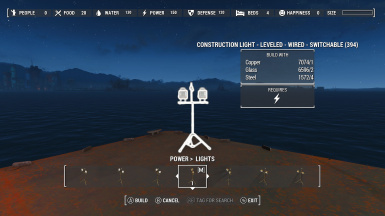 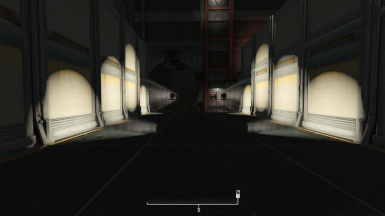 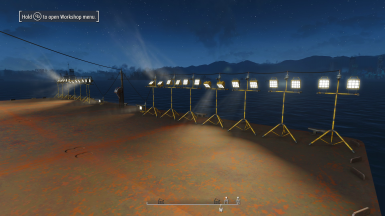 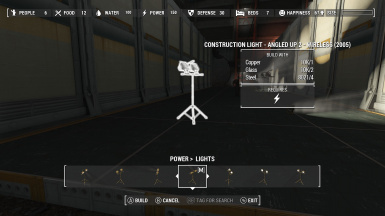 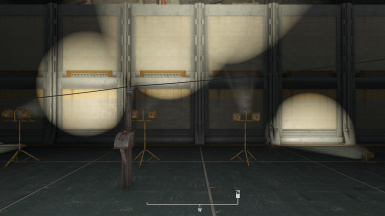 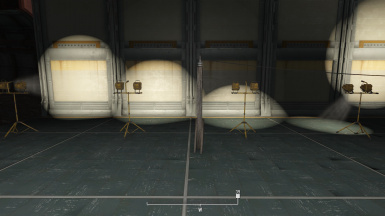 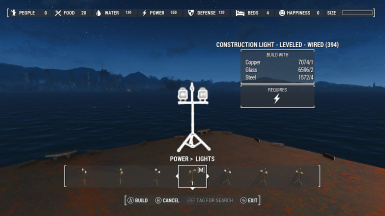 Simple mod that adds 32 Construction Lights, four small and 28 large. 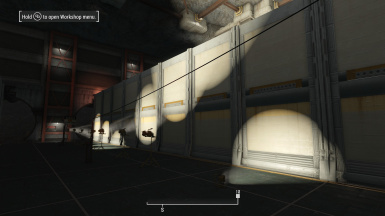 Half are wired and half are switchable. The large have the lights pointing at various angles.